Open biomass burning associated with agricultural residue clearing (after the seasonal harvests and a typical process to prepare for the next crop) and forest fires (associated with hot and dry conditions and some times intentional) is an important source of particulate and trace gas emissions. 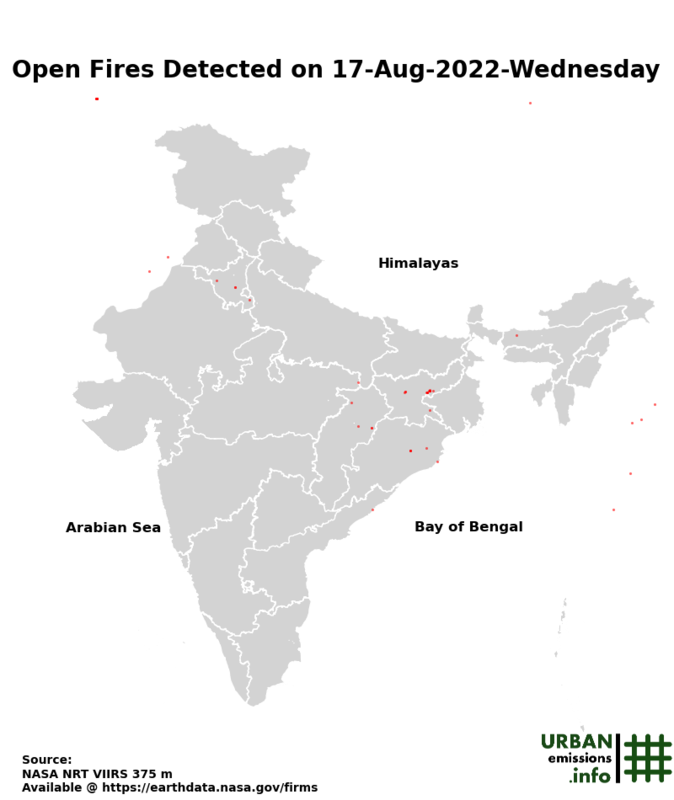 Detection of these fires is a complex methodology, made easy with the availability of a series of open satellite feeds (within a day of their detection). 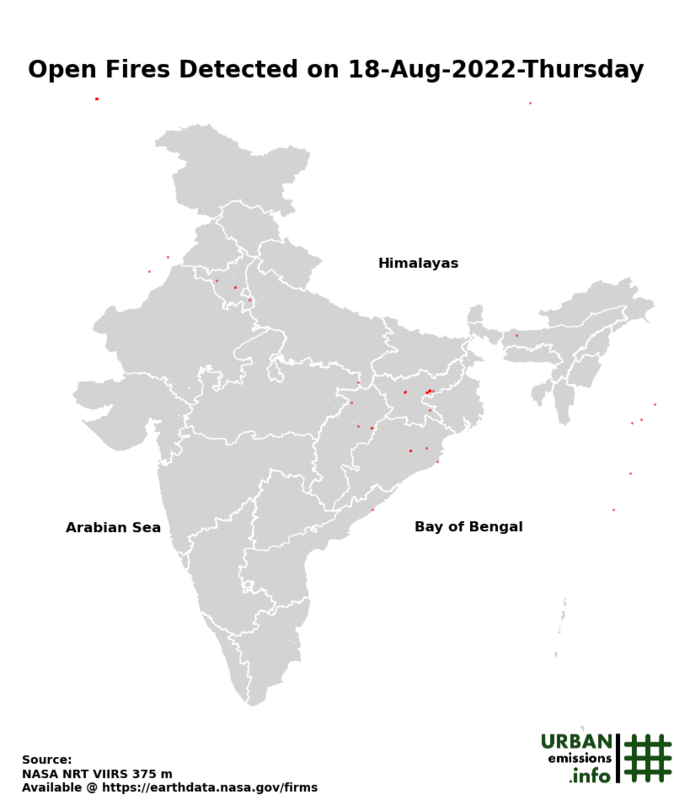 The location of these fires, along with pixelated information of landuse fractions (agricultural, forest, urban, water, arid, etc. – another feed available from the MODIS satellites) can be utilized to estimate the total particulate and trace gas emissions. For our air pollution modeling needs over the Indian Subcontinent, for forecasting and hindcasting analysis, we use the Fire INventory from NCAR (FINN) model estimated emissions using these satellite feeds everyday and provided at the highest resolution possible, a horizontal resolution of ~1 km2. The daily emission estimates are available from the UCAR/MOZART team here. The inventory includes particulate and all trace gas emissions necessary to support the urban and regional chemical transport modeling. The global archives dating back to 2002, along with a database of landuse based emission factors and data processing procedures to prepare model ready emission inventory are available from the UCAR/BAI team here. We processed the estimates for the year 2015 and presented as animations for each month.